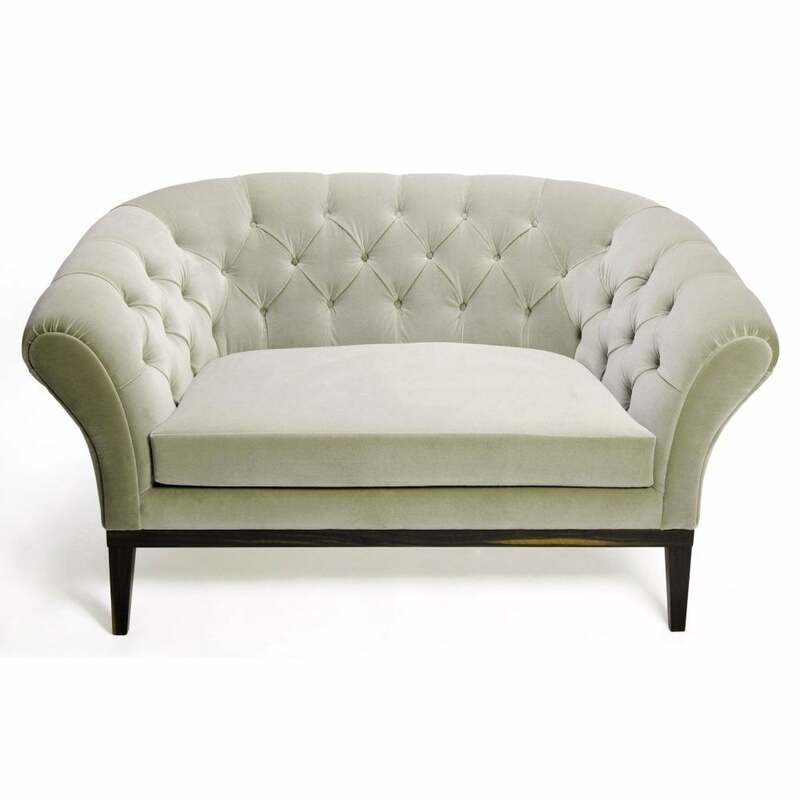 A hand-tailored, button tufted upholstered loveseat inspired in the Chesterfield style. Be Mine was designed to be part of a love story. Shaped in generous proportions with square tapered legs and splay back legs.